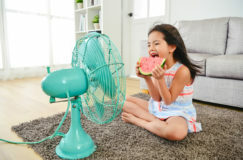 A frozen air conditioner (AC) unit during the heat of summer may seem like an oxymoron, but it is actually a very common problem for homeowners. A frozen AC system can quickly cause a nice summer day to go awry. Here is the information you need to prevent, troubleshoot and repair a frozen air conditioner. How do I know if my Air Conditioner is frozen? The first sign is leaking water around vents or the AC unit. Check the registers inside your home while the AC is on. If the vents are blowing out warm air, it could very well be caused by a frozen AC. 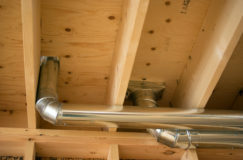 Locate the evaporator coil on your HVAC (typically near the furnace system inside the home) and open the access panel. Small hex-head screws should be holding the panel in place. 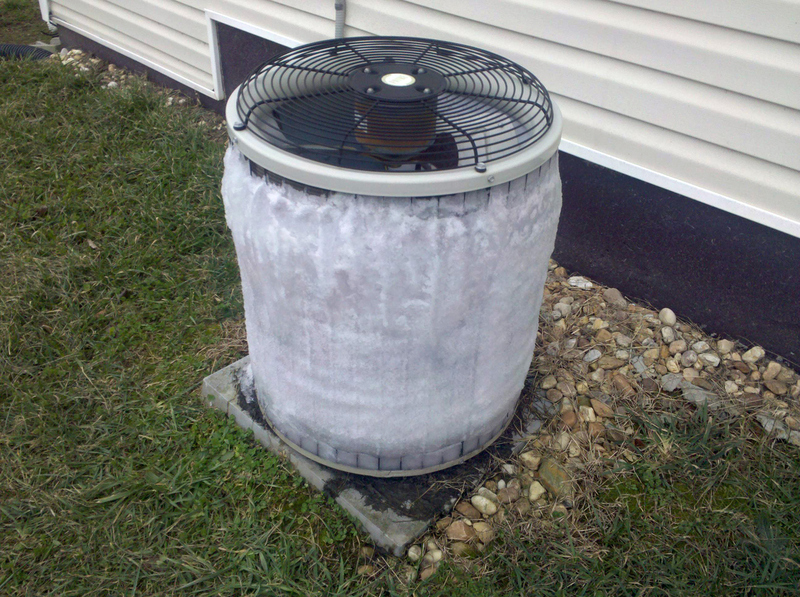 You will be able to see the ice formed around the coil, or even outside the AC unit in severe cases. What should I do when I notice my Air Conditioner is frozen? 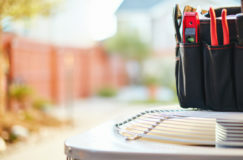 Turn off your Air Conditioning completely and call a licensed HVAC contractor. This will allow the unit to de-thaw until an HVAC technician arrives. Don’t try to scrape off the ice by hand as this could cause even more damage to the AC unit, resulting in an expensive repair. You can also check to see if the air filter is dirty as it could be the culprit to your frozen AC. 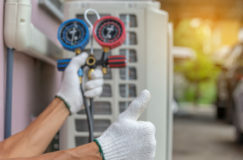 Even if the air filter is dirty and replaced, you should still get a licensed HVAC contractor to examine the unit for other issues that contributed to the problem. What causes a frozen AC? 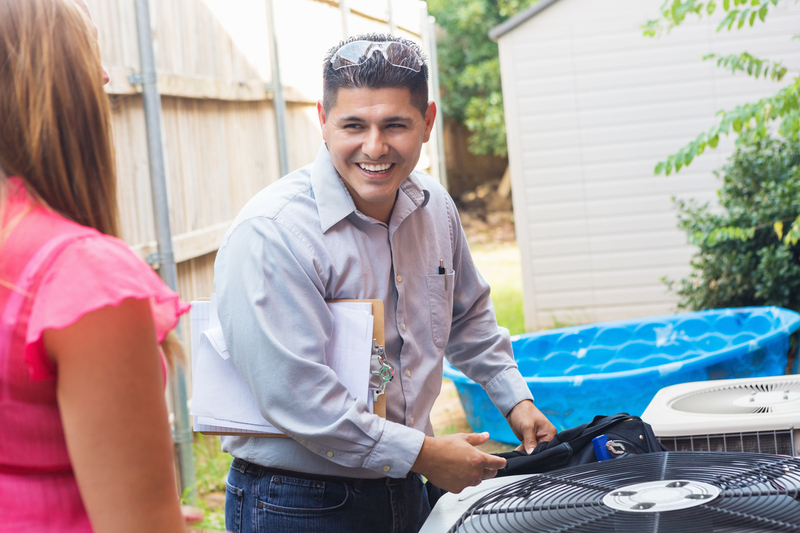 There are two main causes of a frozen AC: restricted air flow or a lack of refrigerant. Without proper airflow to the evaporator coil, the condensation will freeze before it gets a chance to be drained from the unit. Restricted air flow could be caused by a dirty air filter, faulty fan, closed registers or drainage issues. Refrigerant is necessary to prevent the evaporator coil from freezing. 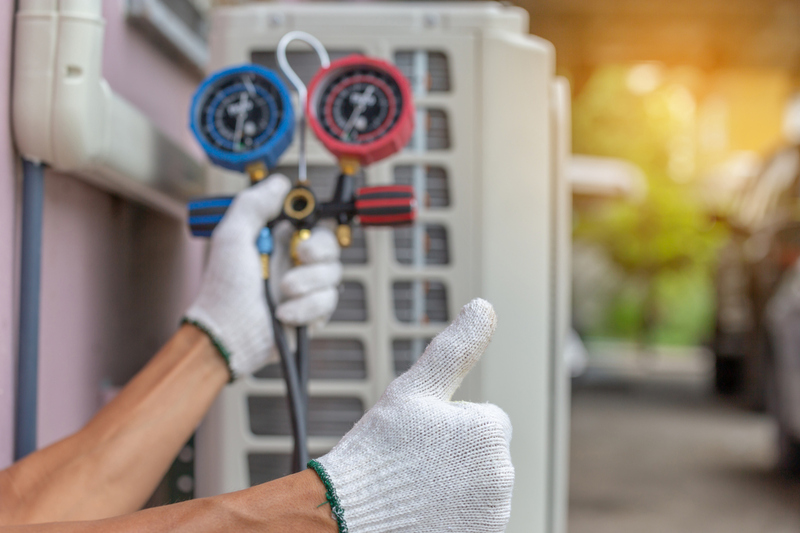 If the refrigerant is low, it could be the source of the problem requires a licensed HVAC technician. What can I do to prevent my AC from freezing? 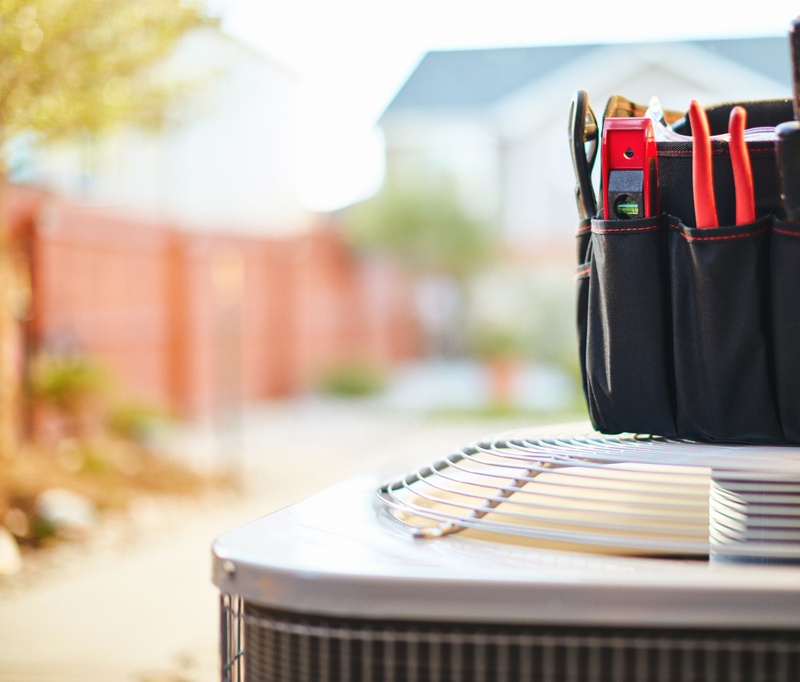 Performing regular maintenance on your HVAC system is the best way to prevent AC malfunction and expensive repairs. 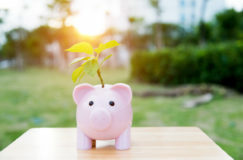 We recommend an AC Tune Up twice a year for newer models or 4 times a year for older HVAC systems. Keep up with your air filter. A dirty air filter can not only cause AC’s to freeze, but poor indoor air quality, expensive utility bills, and put unnecessary wear and tear on your HVAC system. The experts at Johnson Air Systems are here to help. Schedule an appointment with our NATE-certified technicians. We back our services with a 100% money-back for your peace of mind.